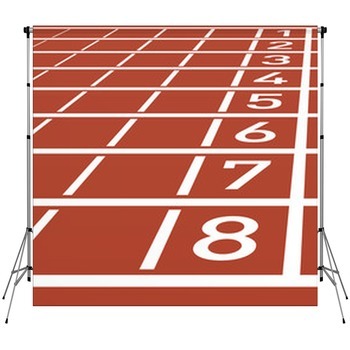 Ever since Ancient Olympic times, man has pushed the limits of his body through competition. 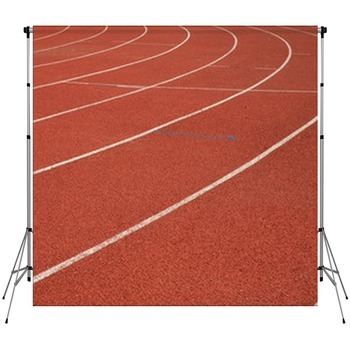 Display the beauty of the athletic spirit and the purity of this sport with our track backdrops. 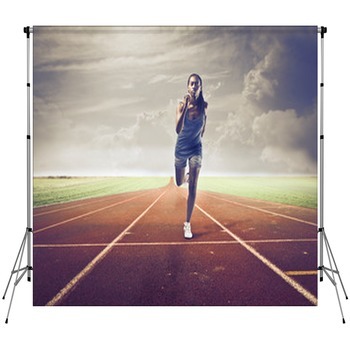 The simplicity of track and field competitions both exhibit the total strength and grace of the human form, and display an aesthetic prettiness that works perfectly as a photographer backdrop for shoots and portraits. Little equipment is needed, just a good pair of shoes and a lot of determination. 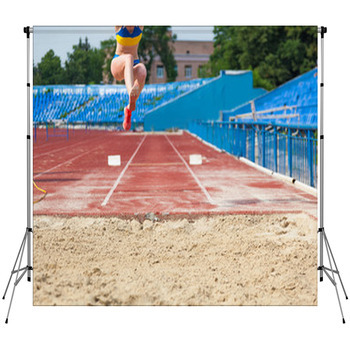 If you're a photographer or have a passion for track and field, these portable photo backdrops are essential tools for immortalizing your subjects and the sport you love. 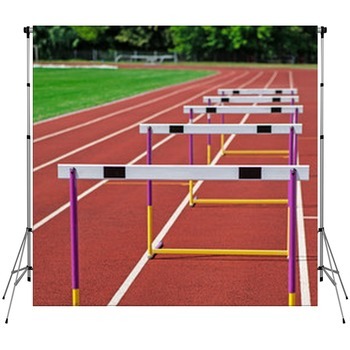 Our vibrant and detailed track backdrops burst from the starting line with bright colors and the true essence of this pursuit. Watch long distance runners become a blur of rainbow colored jerseys as their muscles flex and stretch towards the finish line. 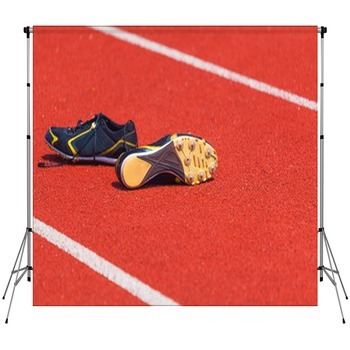 Seconds before the gunshot, runners place their shining track shoes on the line creating a beautiful pattern of bright color against the sepia toned gravel. 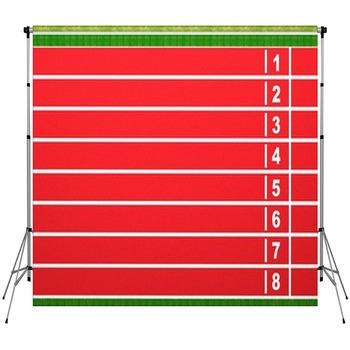 These detailed images show the serenity of an empty racetrack under a bright blue sky while emerald grass grows nearby the snow white lines. 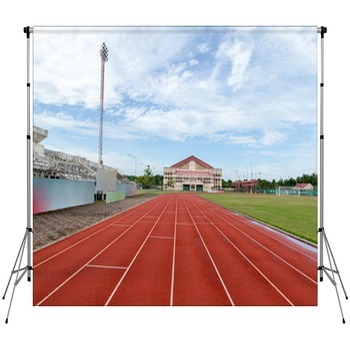 These wonderful tools will be the winning setting for your team, client or athletes photos. 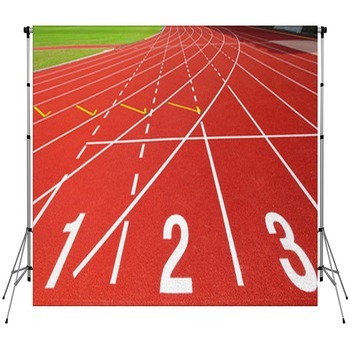 To be a true success, set up a booth at the next track meet or track team party. 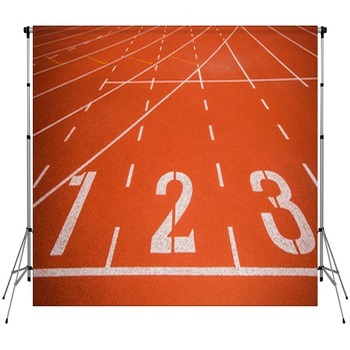 Use our other decorations like track themed wall murals and banners to create the perfect team environment. 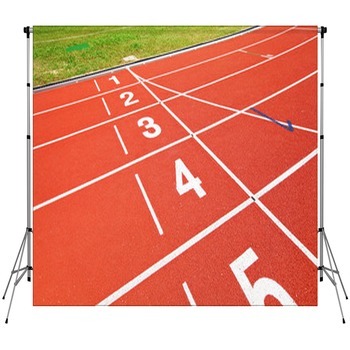 Young children and teenagers who participate will be thrilled to be shot in front of our awesome collection of themed imagery, while their families will forever cherish these delightful moments. 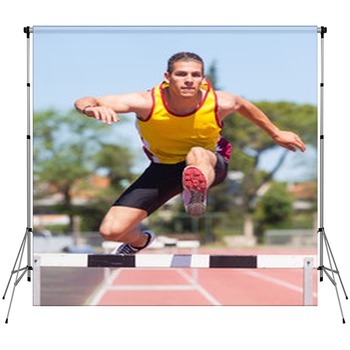 Our portable photographer backdrops are sure to put your photo shoots in first place.